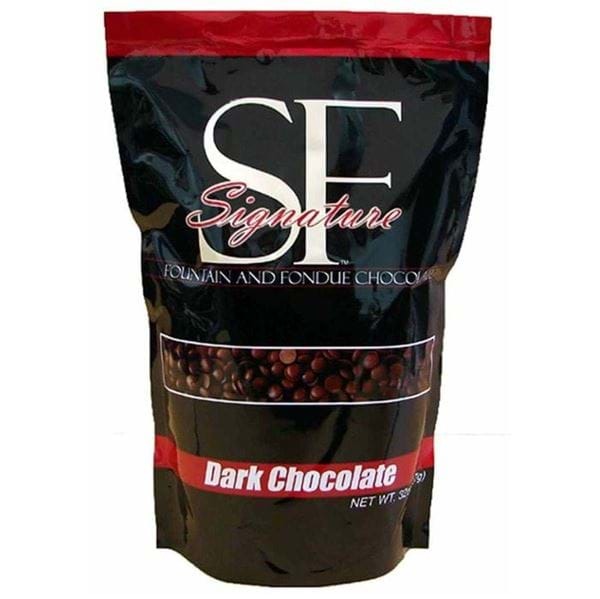 SF Signature Dark Chocolate for Fountains is made specifically for chocolate fountains with careful detail to flavor, aroma and achieving the perfect flow in all chocolate fountains. The Dark chocolate for chocolate fountains offers the perfect blend of rich dark chocolate flavor with a sweet delicate finish. It works well in both a commercial and home chocolate fountain, fondue pots, baked goods and anywhere else a high quality chocolate is needed. 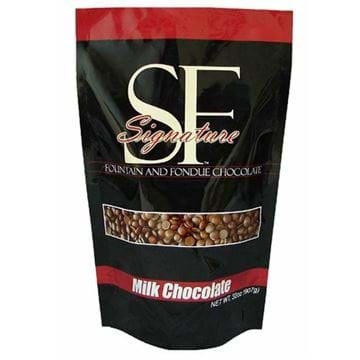 Preferred among many party rental companies, hotels, banquet halls, and caterers who need a chocolate that works every time which offers high quality and luxurious flavour. Place up to two bags in microwave and heat on 50% power for approximately 2 minutes. Remove bag and massage it. Alternatively you can also melt in the base of your chocolate fountain. Simply pour the bag into the basin and turn on the heat. Make sure to stir often to avoid burning.